There are a lot of things to consider when learning a new language. For one, there needs to be consistent effort on a regular basis in order to retain all of the new things that you may be taking in. Learning numbers are no different, and can require considerable attention to detail. Danish numbers are easy to learn but there may be some trouble once addressing numbers between fifty and one hundred. These struggles are normal and can easily be maneuvered in order to succeed. People who are learning Danish or are intermediate students may find it beneficial to learn the numbers between 50 and one hundred. This is also beneficial when discussing large quantities or different amounts of things. There are a variety of locations and settings that could require your understanding of Danish numbers. Being able to learn the pronunciation can improve the scope of your language skills and improve basic conversation. The best way to become proficient with numbering in Danish has to do with memorization. Because the numbers are so unique and do not follow a traditional pattern comparable to other romance languages, memorizing each numeral is the most effective technique. After going through some of the numbers it will be easy to recognize the similarities to English to a moderate degree. This is particularly noticeable among the numbers between one and twenty. since there are so many numbers that must be written or spoken in reverse order it is important to pay attention to the overall techniques. Numbers that are greater than fifty may follow a different pattern. However, these are often distinct systems that cannot be easily recognized like the numbers less than fifty. Therefore it is important to pay attention to the details and memorize many of these numbers in order to avoid confusion. Native Danish speakers have made their own versions of the numbers by pronouncing simpler versions of numbers. The basic system that is followed till the number twenty presents a strategy that is easier than the traditional systems for numbers greater than fifty. Another useful aspect of Danish numbers are their application to telling time or explaining a date. These activities require considerable understanding of numerals and can be easier with an understanding of numbers greater than fifty. Ordinal digits will help whenever you need to explain the position of something. Explaining anything in a series also becomes easier with a foundation understanding of Danish numbers. While these skills may seem beyond the capacity of a beginner, they are essential to daily conversation and operation throughout daily life. For anyone interested in visiting Danish speaking countries or groups it will be essential that numbers are properly understood. This will help with getting directions, dialing phone numbers, and explaining the series or order of things. It can also be helpful when discussing prices or time for shopping and transportation purposes. Fractions are relatively easy to describe in Danish when compared to other situations where numbers are required. The format for these involves the cardinal number divided by the ordinal. An interconnecting word, ‘dele’ is used to join the two. Fractions can be helpful when describing portions or in dividing up certain groups of items. There are a lot of opportunities to use fractions and discussing them can be a valuable addition to your vocabulary. There are a lot of ways to practice number skills in Danish. The easiest way is to memorize numbers and essential prefixes. Doing so can be helpful in the process of improving financial understanding and communicating about prices. It is also helpful to discuss numbers in a competitive environment such as a marketplace or a haggling situation. Even contacting people online in order to get quotes or creating formal messages that involve numbers can be a good exercise in improving understanding of numbers. How to learn Danish numbers? Are you wondering how to learn danish numbers? There are so many great strategies when it comes to this exciting part of the Danish language. Having an understanding of the different formats that numbers take will help in daily communication as well as for professional strategies. Overall these are some of the most essential aspects of the process when it comes to communicating effectively and coherently in a foreign language. While Danish may require a bit more tenacity than other languages, there are patterns that can be identified and used on multiple occasions. Knowing what to do with the numbers as well as when to follow standard patterns will make things easier for all numbers less than fifty. By paying some special attention to those numbers greater than fifty, it will be a lot easier to discuss financial transactions as well as other topics that may require large numbers to be included. There are a few different ways to go about this, but the main thing is to keep on task and stay focused on what you want to learn. It is not always essential to know everything about Danish numbers, especially if you are just visiting for a holiday or a short stay. Basic numbers and communicating the order or sequence of collective things may be enough for your purposes. On the other hand, an in-depth understanding of numbers could take a Danish learner several weeks or months to properly understand. This is because of the unique way that counting and numbers are setup in the Danish language. While it differs from other European languages on many fronts, there are some themes that can be seen between these and English numbers. These are particularly notable when looking at numbers that are between one and twenty. Keep these rules handy and pay close attention to how the similarities may be there among the two languages. Ultimately, there are a lot of aspects to the numeral system that must be taken into account. It is good to have concrete goals when setting out on how to learn danish numbers. Having a solid foundation will make a big difference because it will prevent you from wasting time learning unnecessary language skills. 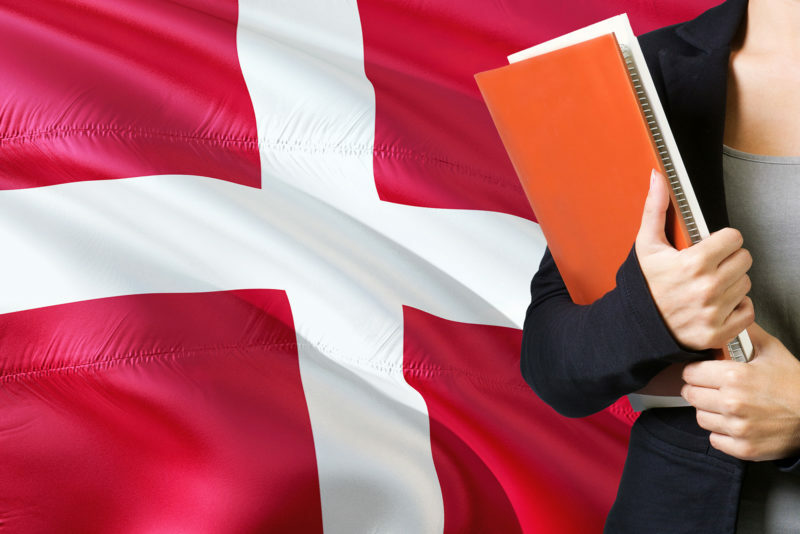 For example, someone who is a student or going to a danish speaking country may have different needs than a business professional. Learning Danish numbers will be critical when applying for different kinds of professional engagements. Any opportunity for translation or writing in the Danish language will benefit significantly from known numbers and understanding the proper forms of numerals.